CL: i found this on our way up to the temple. it's for you. 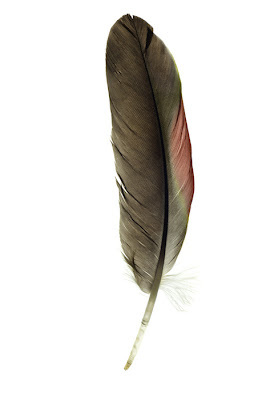 AT: You hold a feather up to me. It is striated, ribbed, largely heather, touched in one quadrant by red. A feathered heart. CVK: A sun stained feather, touched by the other. The hawks messengers from the heart.